Best thing about this week was hanging out with my wonderful friends in celebration of Mj's birthday. We had so much fun hanging out and sampling Blount Organic- Gourmet Soup that was sent to me for FREE courtesy from Tryazon & Blount Organic. Yes! you heard it right its totally free. This is my first time tying out the product and I'm hooked. Its absolutely delicious, healthy, organic, vegan, No GMO, and made with high quality ingredients. Scrumptious soup that is perfect for group settings with family and friends. I can't wait to share with you my Blount Organic Gourmet Soup experience but before we get started. Let me share. What is Tryazon? "Tryazon is the newest way to try out innovative products. Host a party and get free stuff!" This is my fourth time to host a party from Tryazon and It felt amazing! As you may all remembered my first post HERE. All the great products they offers to try out are pretty impressive and its FREE. Yes! you heard it right- totally free. All you have to do is SIGN UP. Apply for sampling party that interest you, get selected, received the product for free, and host the party. It's super easy and fun! 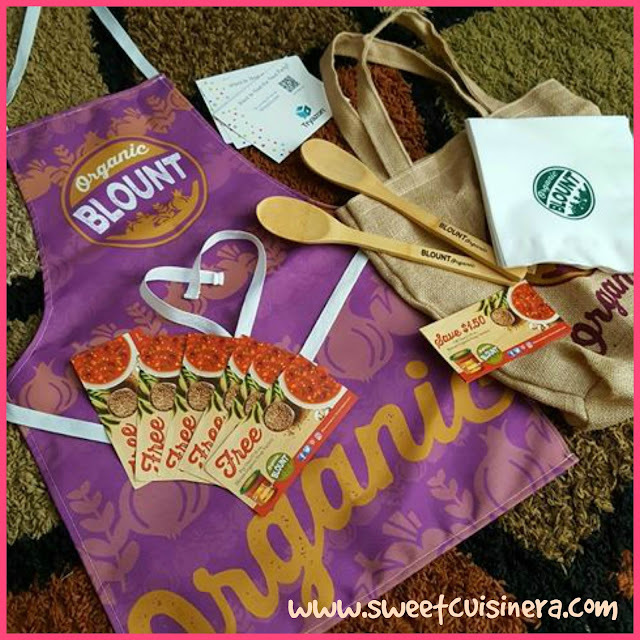 Blount Organic- is family owned business knows how to turn an organic delight into a quick and easy meal. Their recipes, developed by chef masters, are proprietary recipes that only use the healthiest, all natural, all gluten-free ingredients. After a taste, you'll likely never settle for plain soups again. Now we know about Tryazon and Blount Organic. Let's take a peek what inside my party kit. Shall we? I'm excited! Are you? Lets go! 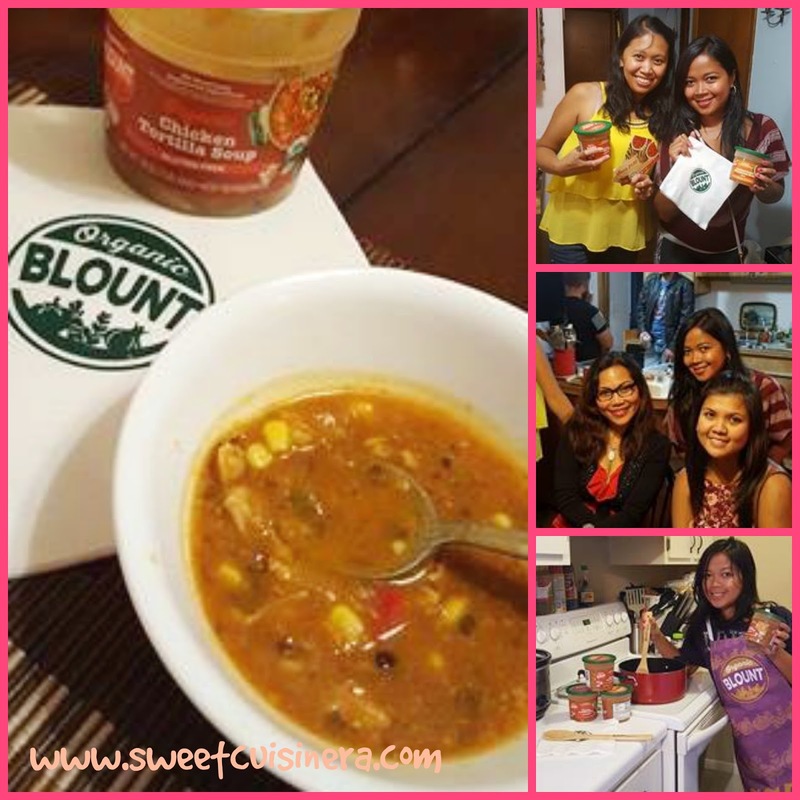 Blount Organic Soup Samples- I received 6 FREE coupons of Blount Organic Soup for the party. I have to redeemed 6 free coupons of Blount Organic soup of my choice as part of sampling the product. I grabbed 4 Blount Organic Chicken Tortilla Soup and 2 Organic Ancient Grain Minestrone Soup. Then, we head over to my friends house and we had so much fun sampling these delicious gourmet soup. We first tried the Chicken Tortilla Soup (A unique soup made with tender chicken, flavorful roasted corn, diced tomatoes, Monterey Jack cheese and jalapeño peppers) A little spicy which me and my friends loved, smells great, and has all delicious ingredients that you want for a perfect chicken tortilla soup. The best thing about Blount Organic Chicken Tortilla Soup its ORGANIC- Yes! its absolutely delicious! Then, we tried Ancient Grain Minestrone Soup (Classic minestrone flavor with an ancient twist – farro, quinoa, and barley make this a hearty treat)- Its perfect! the texture of different grains, organic veggies, and perfect blend of seasoning. Delicious and flavorful soup! After sampling Blount Organic Soup- I must say that it taste really good and I'm hooked. I LOVED it! and looking forward to grab more and try different varieties of Blount Organic Gourmet Soup. Now we know how delicious Blount Organic soup. Its time for you to grab some soon! Check your area on Where to Buy Blount Organic. I hope this post inspire you to gather your friends and have fun trying these delicious soup. I'll see you in few days for more fun and exciting food escapades. Don't forget to SMILE and stay GORGEOUS as always. 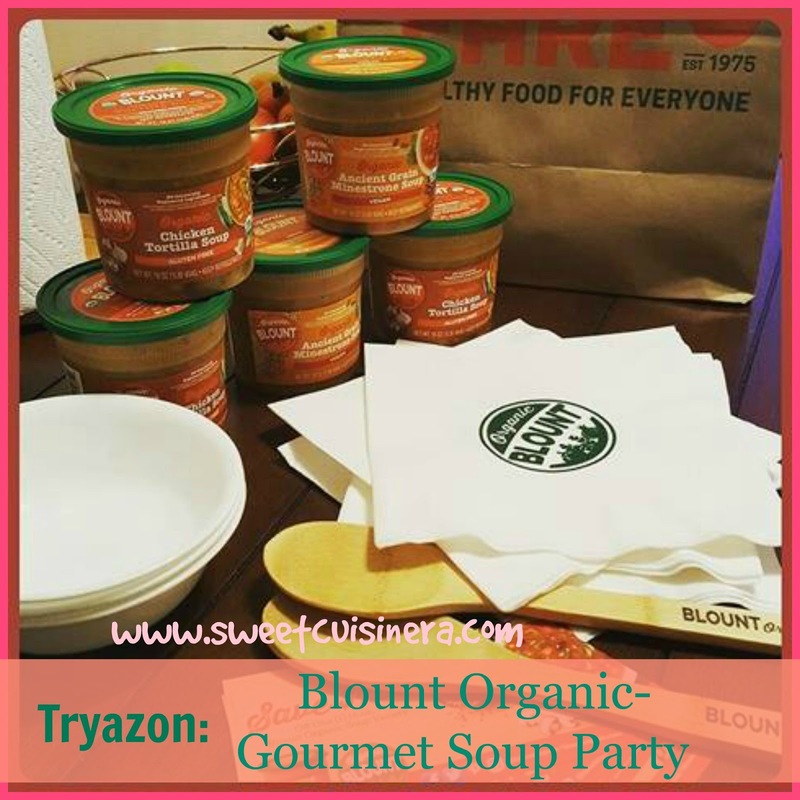 Thank you Tryazon and Blount Organic for such an amazing product sampling experience. It is good to know that there are organic gourmet soup in the market. I sometimes buy instant soup where I just need to add one egg. Remember that soup? hehehe! Nice experience sis, I haven't tried this product pa but it's look interested. Nice you had your sampling products also. The soup looks so delish. How I wish we could have this product sampling in Dubai. As I love soup very much, I would also love nothing less than a soup party no matter how hot the weather is. how fun!